The Clever Internet Suite v 9.3 released. 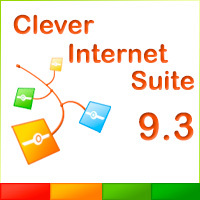 Hi, we have released the Clever Internet Suite version 9.3. In this new version we have introduced RAD Studio 10.3 Rio support, fixed some existing problems, implemented the SOAP XOM support, and much more. 20% discount on all CleverComponents products. Don't forget, the offer will expire on March, 1.